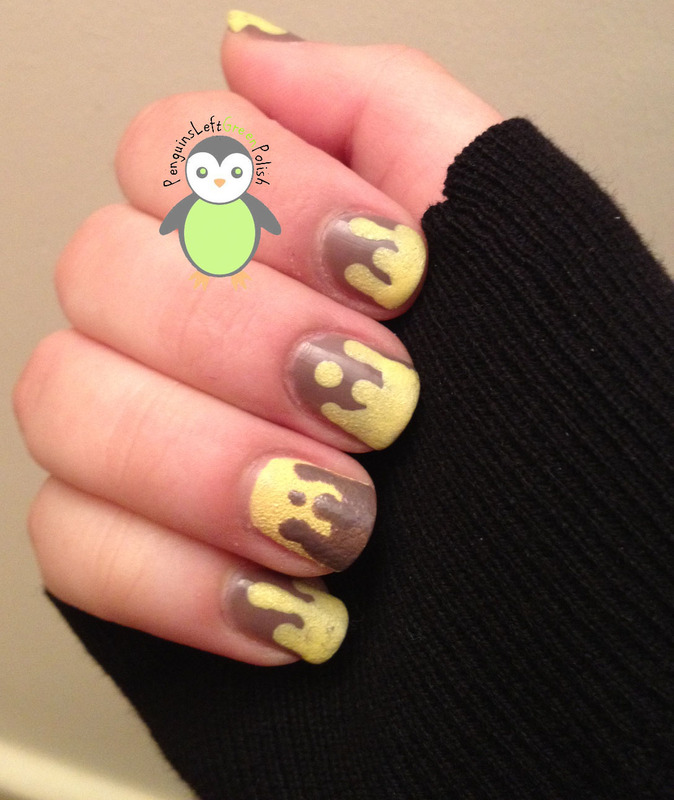 Today I have for you the all simple 'Drip Manicure"
I didn't really thing about the colour combination at all here! I bought some new nail polish recently so just had a base coat of NYC - In A New York Minute - Park Ave on my nails! Its a lovely brownish kinda colour kinda like a light milkshake! 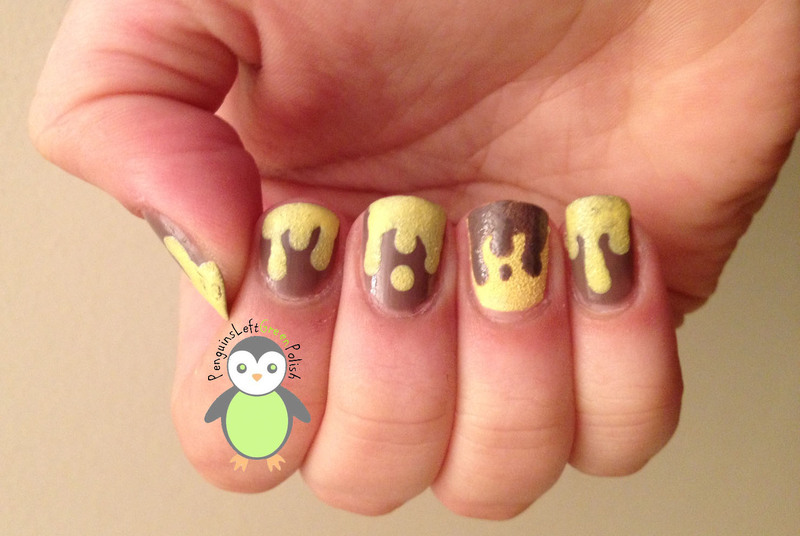 I also painted an accent nail of Barry M's Textured - Atlantic Road....then it suddenly hit me...DRIP MANICURE....CHOCOLATE BANANANANA MILKSHAKE THINGY! You can really see the texture in the pictures since I didn't add topcoat! What do you think of drip manicures? I found it so easy to achieve with a dotting tool!